Krystal Group, a luxury wedding specialist, approached Hyphen in 2016 to ask for help in refreshing and enhancing their online presence. Their old website, although functional, was not responsive for mobiles or tablets and they felt that it neither represented the premium nature of their business, nor promoted any of their events services effectively. Hyphen re-designed the Krystal Group website from the ground up, with the understanding that an image-led site was the best way to showcase their exquisite wedding services. Beautiful hero images are used to create impact and individual, venue-based galleries were installed to keep navigation around the site simple and un-cluttered. 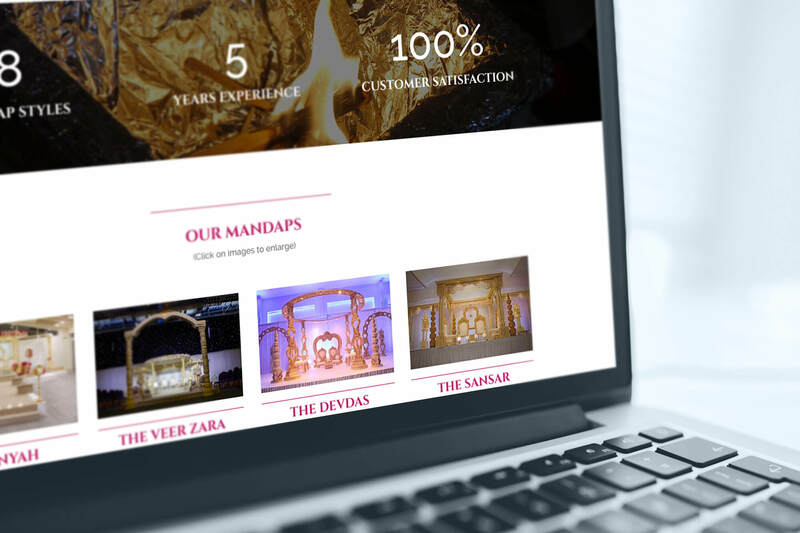 We were later re-approached by Krystal Group to assist them in launching a separate one-page website for their brand, The Mandap King, which was to be based one of their service pages. Using ‘jump to’ links allows you to move around the various sections on the site with fluidity and ease and a brighter colour scheme was introduced to further aid differentiation between the two brands.